This year, AACCi will be held in London, UK! 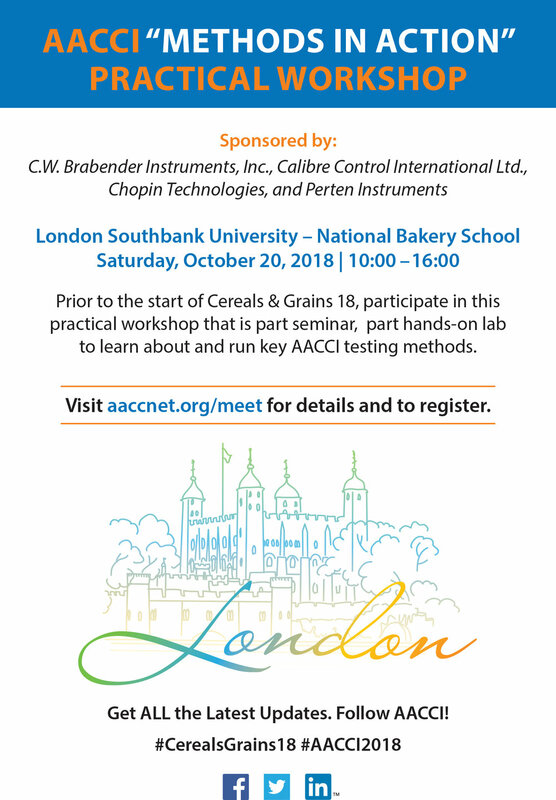 With that News - C-Cell along side parent company Calibre Control, will be hosting a one day Methods in Action workshop prior to the AACCi Conference. The workshops main objective is to provide practical demonstrations from key suppliers showing AACCi approved methods in action - alongside presentations from key speakers and a chance for Q&A with industry leaders! In collaboration with Calibre & AACCi, sponsoring the day and showing their equipment will be: Perten Instruments, Chopin Technologies and Brabender GmbH & co KG - and of course our very own C-Cell!